PodCats Episode 43- 2016 Orientation Preview! Hello and welcome to the WCU PodCats Podcast! This week Josh and Patrick preview the Week at Western featuring a Zootopia review and a recap of the Catamount baseball teams performance in the NCAA Clemson Regional. 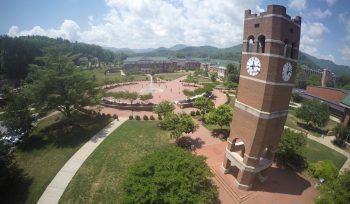 The spotlight for this week is on the upcoming WCU Summer Orientation for incoming freshman and transfer students. The guys dive into what you should do before you arrive, what dates the Orientation sessions are taking place on, and tackle some FAQ’s regarding Orientation. Remember to rate/review/download/subscribe on iTunes, like us on Facebook, follow us on Twitter, and as always… Go Cats!